This one is a great drive, but a drive best taken slowly and carefully. 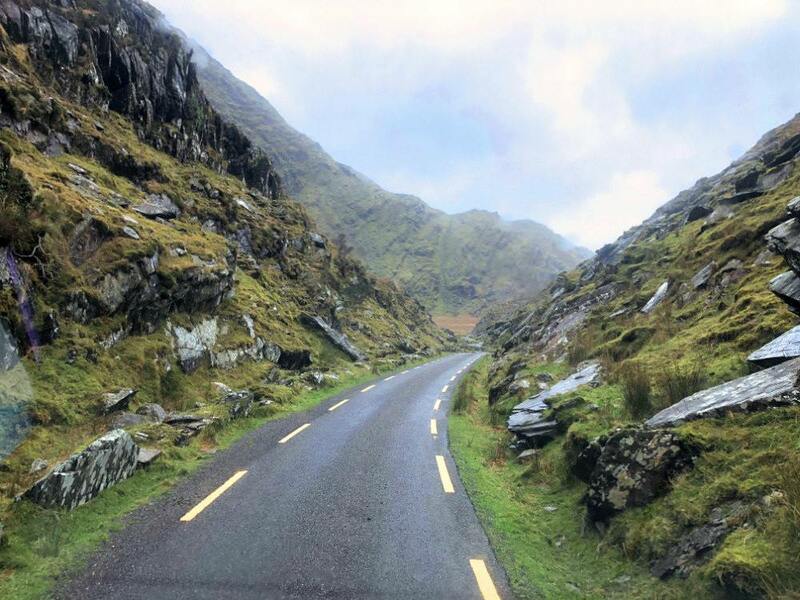 The Ballaghbeama gap is one of our favourite roads and is a route that travels far off the beaten track. The majority of the Gap is a single track road, keep your eye out for passing places and be prepared to reverse/back up to let others pass you. We will let the route speak for itself (see our map), we have included Ladies View as a suggested lunch spot on the way back to Kenmare. Ladies view is on a section of the route that is also included on the Ring of Kerry so be prepared for it to be busy. If you can’t get a table then don’t panic, carry on to Kenmare where are you are guaranteed good food in any one of the many restaurants that our fantastic town has to offer. After your day out exploring Ballaghbeama Gap then why not join us after dinner for a completely different outdoor experience and discover the hidden world of bioluminescence on a night kayak trip?